French President Emmanuel Macron will receive the Charlemagne Prize, the EU’s version of the Nobel Peace Prize, on 10 May. The award was announced on 7 May, the first anniversary of the French President taking office. “Macron is a head of state with a claim to European leadership”, states the Board of Directors of the Society for the Conferring of the International Charlemagne Prize, on the society’s website. “In the person of Emmanuel Macron, the Charlemagne Prize Society honours a courageous pioneer for the revitalisation of the European dream”, the Board of Directors state. 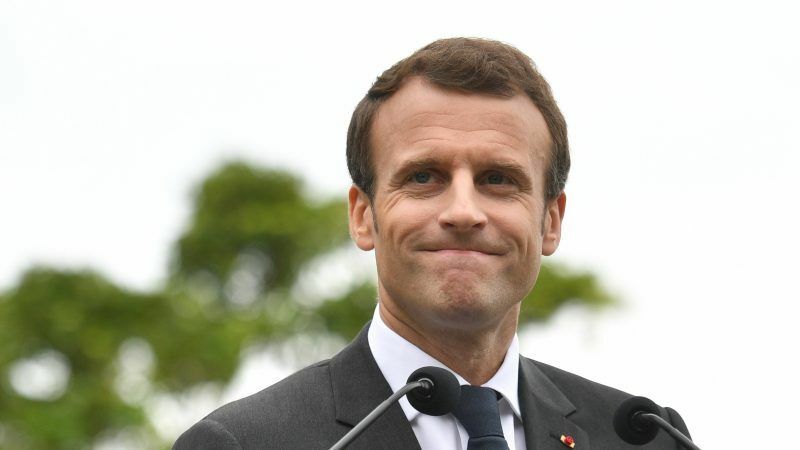 “President Macron is not concerned with institutional nitty-gritty; his focus is much more on the fundamental issues, on the grand European narrative with which he aims to win the population’s support for the European integration process,” they added. The statement adds that Macron had “transformed the French presidential election into a referendum for Europe”, and “wants to put Europe firmly back in the hearts of the people”. The Charlemagne Prize is awarded annually on Ascension Day by the city of Aachen, where Charlemagne, ruler of the Holy Roman Empire, was buried. The City of Aachen refers to Charlemagne as the “founder of western culture”, and asserts that under his reign, Aachen was the spiritual and political centre of what is now western Europe. Among the most recipients are the current Commission President Jean-Claude Juncker in his former capacity of Prime Minister of Luxembourg (2006), former NATO secretary General and EU foreign affairs chief Javier Solana (2007), German Chancellor Angela Merkel (2008), Council President Donald Tusk in his former capacity of Polish Prime Minister (2010), former Council President Herman Van Rompuy (2014), and former President of the European Parliament Martin Schulz, a native son of Aachen (2015). 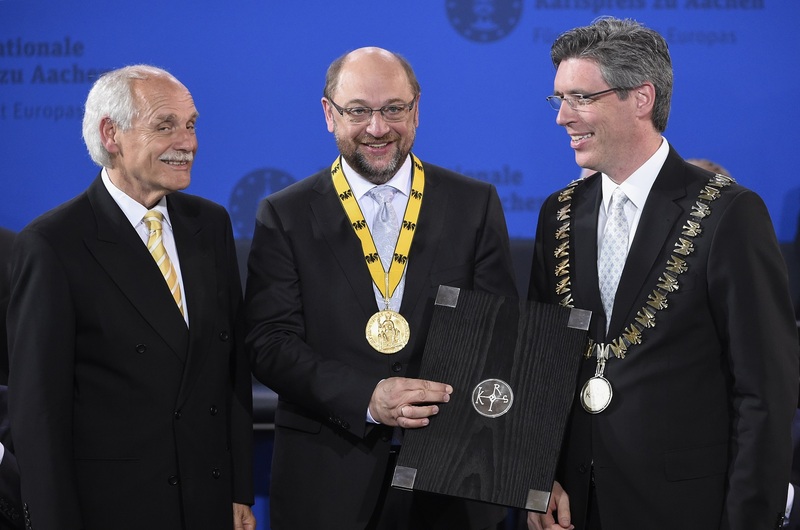 European Parliament President Martin Schulz’s father was a policeman regularly assigned to protect dignitaries at the award ceremony of the International Charlemagne Prize in Aachen. The officer’s son was awarded one yesterday (14 May). 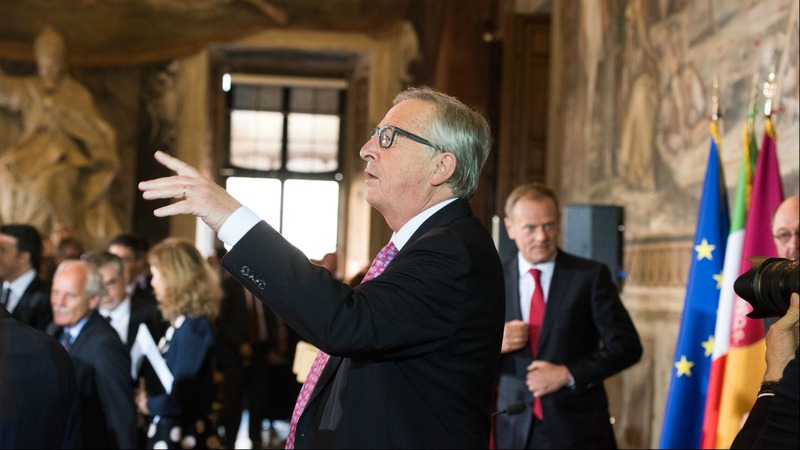 In 2016 the Charlemagne Prize was give to Pope Francis in a ceremony which took place in the Vatican, in the presence of Juncker, Tusk and Schulz. Last year’s recipient was Timothy Garton Ash, a British historian, author and commentator specialising in Central and Eastern Europe. The Society for the Conferring of the International Charlemagne Prize of Aachen, headed by the Board of Directors, includes a maximum of 165 members, representing the intellectual and economic life of the city. The Charlemagne Prize is sometimes compared to a small version of the Nobel Peace Prize. The Nobel Committee decision to award the Prize to Barack Obama in 2009 drew mixed reactions, as many pointed out that the then US president had only been in the Oval Office for 11 days.